We'd love to share a few tips with you about using social media to sell more items and reach more people! Social media is a great way to take advantage of FREE advertising. You really need a social media presence these days no matter what you sell. It’s much harder to get found word of mouth than it used to be! We hope these tips will help if you are new to or just not used to using social media, and you may learn something even if you've been using it awhile! These tips are just a super quick over view, and remember things change all the time in social media! If you are interested in going way further than we can here, check out some of our favorite social media coaches and online classes! Jennifer has been our creative business coach for two years now! She helps creative businesses (including TONS of Brick and Mortars!) grow their online presence through her coaching group called "The Inner Circle. : We've grown our social media following by leaps and bounds applying her tips, have made priceless business connections, and have loved having a guide and great company in what can be a lonely business trying to go it alone! This class opens up April so get on the wait list now to get an email when it opens! This is a great book to learn how to grow your business with a distinctive plan! Christy is a member of the Dave Ramsey team so it also highlights how to manage your business finances along with time, taxes and budgeting. They also put on a stellar conference each fall in Nashville that we have attended and sold our signs in for two years now! If you are interested in it, just ask us! Alex was the FIRST coach we ever paid to teach us something about growing our own business. 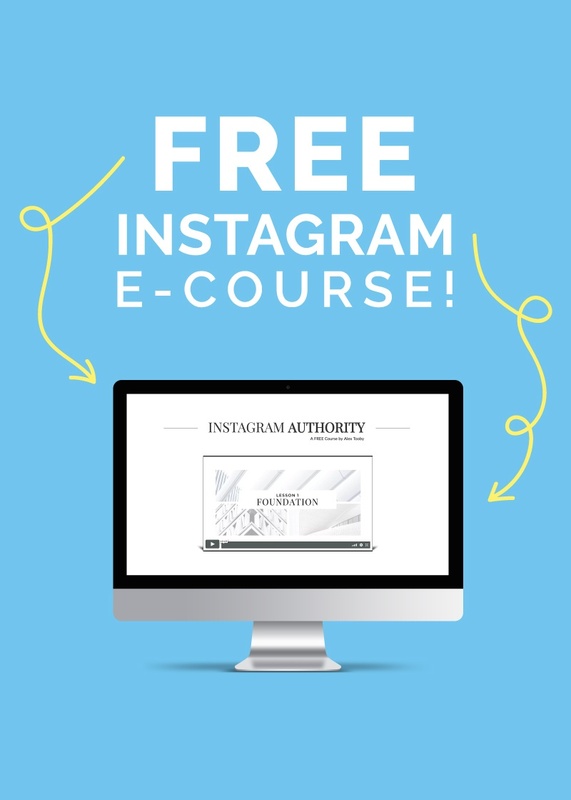 Her FREE Instagram trainings are amazing and her paid ones are even better! She has a great paid course on growing your Instagram overall and a super in depth look at using hashtags. Both are amazing! All real businesses should have a Facebook page. Doing business only on your personal page can get your profile shut down. Make sure you've filled out ALL the details, especially if you have a physical location for people to visit you in person. Make it easy for your customers to find you and get a hold of you for questions. Post regularly.....every day, at least 4 times a day is best, but try to keep it to at least daily! Do Facebook lives- this is the BEST way to get new eyes on your page and new followers. If you are like me, you may not like doing them, but they WORK! Show behind the scenes, show yourself making your crafts, your craft room, how you decorate with or use the items you make yourself. There’s lots you can do without even showing your face if that scares you! But speaking of showing your face- people DO like to buy from those they know, like, and trust! Your page should be about your products and what you sell, but throwing in some personal stuff to make you a real person to them is great! Try not to make every post about selling- share a flat lay of your items with a quote about something meaningful in the photo- what that color, texture etc reminds you of, a special memory etc. Invite a conversation- ASK QUESTIONS on your posts to get engagement. Questions that are quickly answered are best- which color do you like best, what's your favorite thing here, etc. The more engagement you get the more your posts will be seen. Use the "INVITE" feature. Click on the names of people that have liked your photos. If they don't already like your page, you can click "invite" beside their name and it will ask them to like your page. You know they like your content (because they literally just hit "like!" on a post! ), but now you want them to take the next step and follow your page. Run Facebook ads! This can seem intimidating and scary but ads WORK to get you more likes on your page and more people in your store. You can highly targeted Facebook ads to get followers who are truly interested in what you sell. If you sell a product, photos are so important! Beautiful photos are what Instagram is all about! Be sure to completely fill out your profile, location, website or SOMEWHERE people can shop from you. I recommend posting at least once daily to your main feed, and daily to Instagram stories. In stories you can add fun videos, graphics, text, polls, questions, and really get your audience involved. Post pretty pics in your feed. When someone clicks on your profile and sees all the photos you've posted, they should have a quick overall view of what you sell and who you are. While you should have what you MAKE written in the bio, people should be able to glance quickly at your feed and KNOW what you make! If you don’t have photos of your products, how will people know what they can buy! Make sure your photos are light, bright and inviting. The same as with Facebook posts- invite a conversation so that people will be more likely to comment on your posts. Respond to comments, tell people to Direct Message you with questions, ANSWER them and engage. This seems like a no brainer, but while your account is small TALK to your people who are talking to you as much as you can. Engage! Go follow, like and comment on others posts! Find other makers of complementary products, that you can share content and relate with, but also follow and engage with your ideal customers. If you make home decor, find accounts that share their home remodeling and decorating that might be interested in your products. If you make jewelry, find fashionable mom’s with public profiles that love to post their stylish finds. Stories disappear after 24 hours, and you can be a little freer with what you post there. Mix in some personal stuff, photos of your kids, customers and their kids shopping (with their permission!! ), have fun and be creative with it. Any stories that represent your products really well that you want to stick around- add them to your highlights. Use hashtags geared toward your CUSTOMERS not your competition! You may have other makers following you, but what you really want is more customers. Use hashtags that relate to the type of products you sell, your location specific hashtags, or the type of customers you want. Lots of people tend to overlook this one because its not really "social." It's important to have a presence on Facebook and Instagram, but Pinterest is where most of us go to "google" pretty things now! Pin photos of your products with hashtags and descriptions and a link to where to buy! Rule of thumb is to repost 80% of other peoples pins, and 20% of your own. You can use Tailwind to automate and spread out your posting throughout the day, it makes it easy to pin your most popular items AND it is sanctioned by Pinterest! You will typically see more results from Pinterest by viewing the traffic to your webpage than you will see actual amounts of follwers, repins and comments. This is one reason it's highly overlooked. It's harder to know what sales and customers have come from Pinterest, but when you get your pins of your shop and your items up on there you will be amazed!